In recent years, the Subaru scene swung a turn in the opposite direction- and in our opinion, the correct one. While the "track" look is the usual bread n' butter for this chassis, owners have discovered how to seamlessly combine track with stance. This is how Jedh exactly built his 2016 Subaru WRX. Track livery can be found through the Bride Japan seats, Takata Racing harnesses, and VIS full carbon fiber wing. For stance, he is able to air out on aggressive Work Meisters via Airlift Performance suspension. 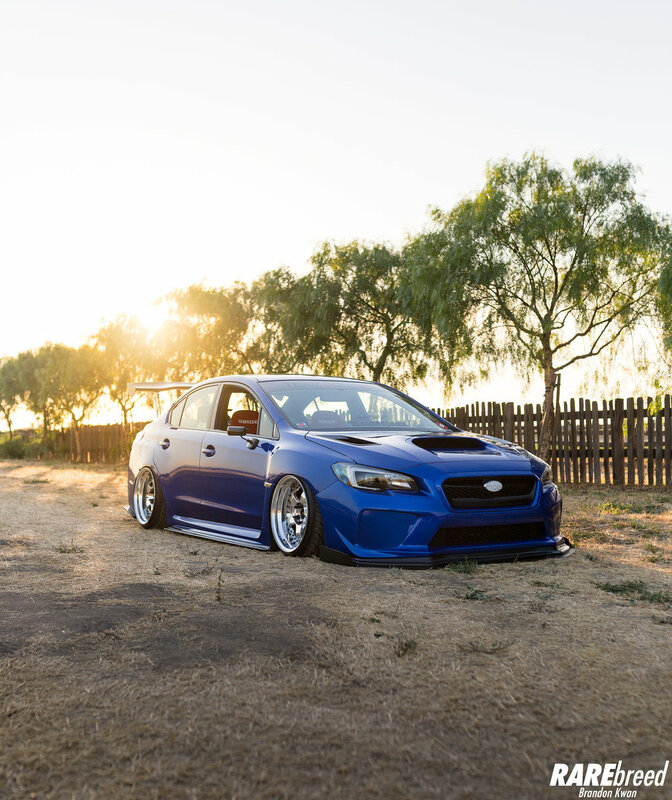 This STI is able to achieve fender to lip fitment with the help of Airlift Performance 3P. These full polish Work Wheels Meister S1 3P are a definite eye catcher. Catch this build at a show near you! Vibrant Red Bride Low Max Racing Seats for ultimate comfort. Takata Racing Harness for ultimate safety.